Buy Wholesale Succulents For Sale at Bulk Prices! 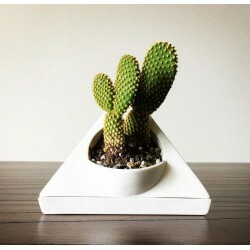 This self-watering Succulent Planter Pot is designed to fit on tabletops, window sills, bookshelves, an office desk, etc. Made of high quality and durable ceramic, the unique triangle shape fits nicely in corner areas like cubicles or ledges!